Happy hump day ladies! How are you today? 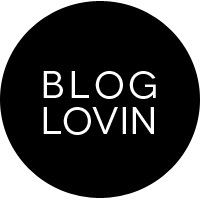 My second favourite subject is on this blog today and that is face masks! I really enjoy using one every other day and I strongly believe that face masks changed the way my skin looks and feels and I am proud to say that in the 37 years of my life, my skin is at its best. How amazing is that! 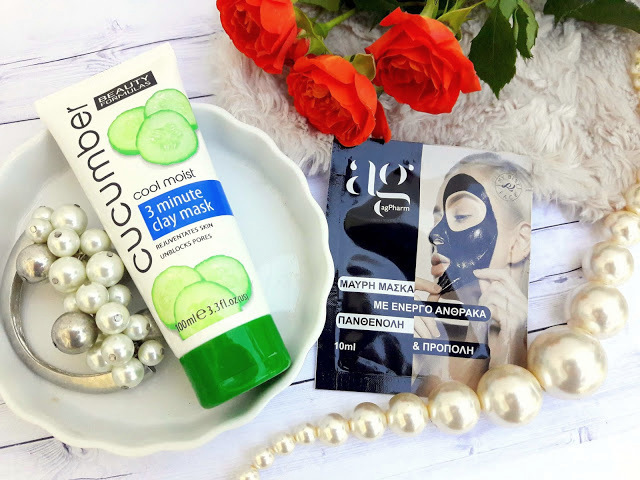 I made an introduction to this brand with my recent post for Ag Pharm (you can read the post here) and as soon as I received these products, I wanted to try this mask first. 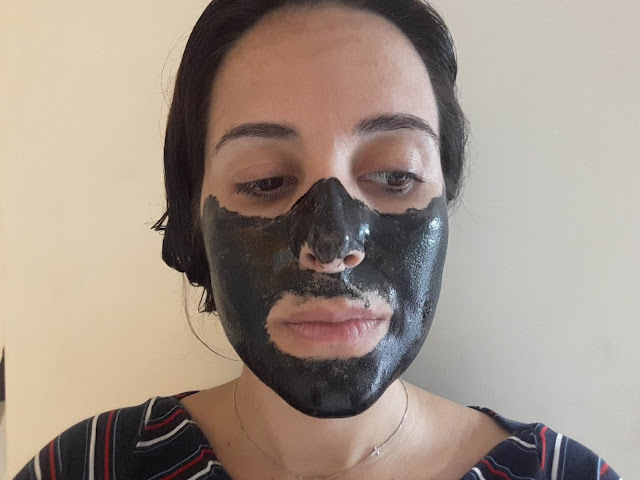 Hands down, it is the best black peel off mask I used so far. It has active carbon that results in removing dead cells and unblocking the pores, giving skin a matte appearance. I've used two sachets of this product so far and I think this will be one of those products that I will forever re-purchase. It contains panthenol, aloe vera, propolis and calendula and it's ideal for oily skin. I apply this mask all over my face making sure it is distributed evenly and I create a thick layer and wait for it to dry. It usually takes 15-20 minutes for the mask to dry completely but some parts take longer like my cheeks and nose, since I always apply more product to these areas. The mask feels pleasant when on, it does not feel tight or uncomfortable. The only downside is the strong scent but thankfully, it disappears after a while. The results are amazing. You know when peel-off masks came out and were so popular and everyone was like 'look at my pores, they are smaller' or 'look at those blackheads' etc etc, I tried a variety of peel-off masks but nothing felt that good nor gave me visible results. 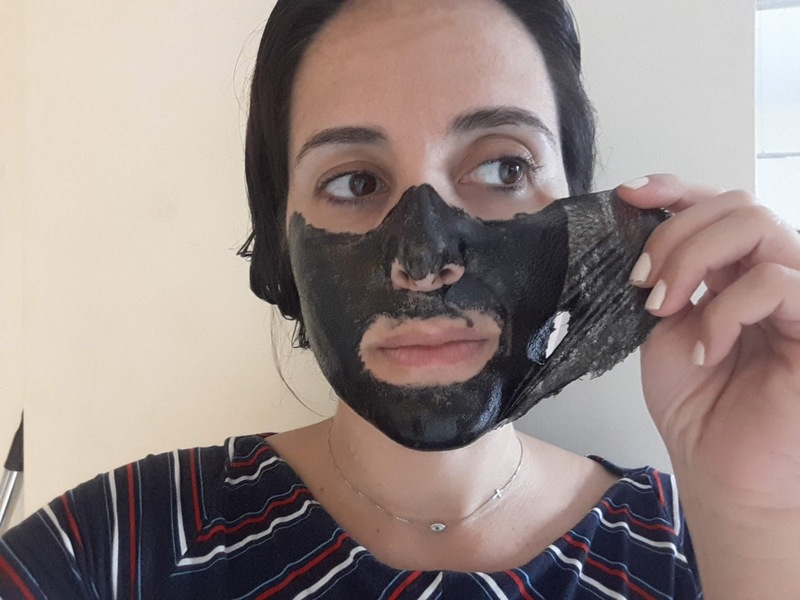 I even tried one black mask that was a nightmare to take off; I had to peel piece by piece because it was tearing apart and it took me 10 minutes to remove it. But this is not the case with this one. It applies beautifully and is removed the same. My skin feels extra-ordinary afterwards. So soft like a baby's bottom (!) and so clean, omg I never seen my skin so clean after using a face mask. It also picked some blackheads, which is great. I totally recommend it. 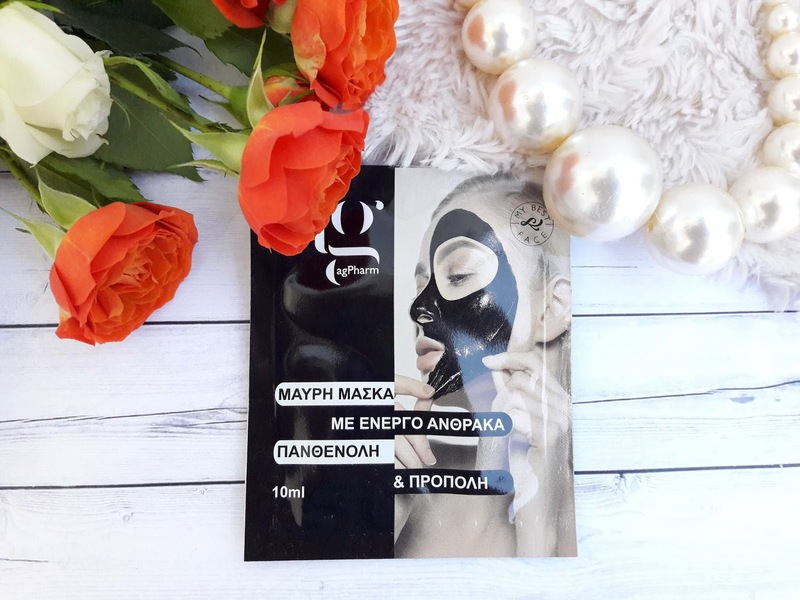 Beauty Formulas products are extremely affordable, so when I picked this face mask I had no high hopes for it, it is just another clay mask to have in hand and to use once or twice a week. But I was wrong. This face mask is amazing. In comparison to other clay masks I used in the past, this one is so different. It feels refreshing to the skin and does not dry nor feels tight like a clay mask would make it feel. Weird ha? 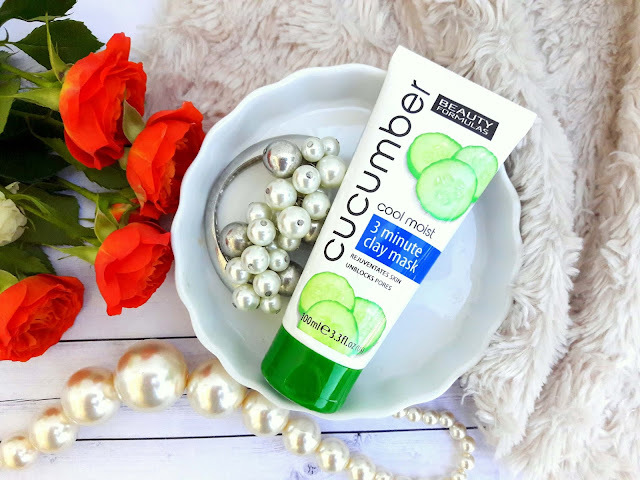 The texture of this product is thick and it has a refreshing scent of cucumber which I really like. 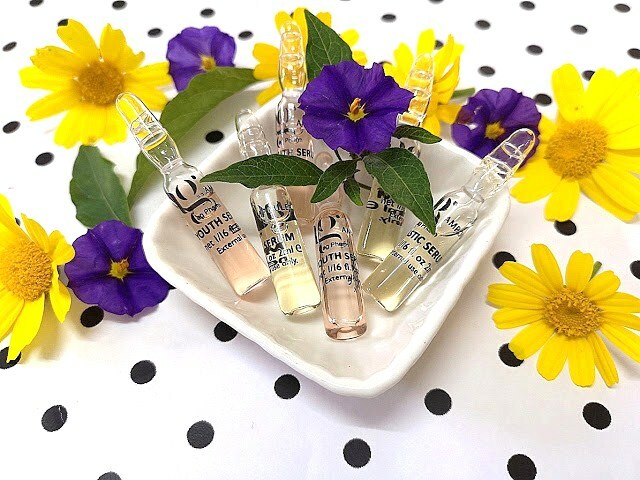 It applies nicely to the skin but while doing that, you will notice that a small amount of the product is quickly absorbed, it does not stay on the surface to create a thick layer. It says that it works in only 3 minutes, but as per usual, I left it for 10. Washing out this mask isn't easy. It requires patience, warm water and if you have a face cloth it will help remove it faster. Results: When I washed my face and patted dry, I looked into the mirror and saw a miracle. Just kidding, but my face looked amazing. My pores looked smaller, my face was bright and super clean and it felt extremely soft and smooth. As I said above, I didn't have high hopes for this mask and the results gave me the wow feeling, a refreshed and clean skin. However, as much as I wanted this mask to moisturize and give my skin some kind of hydration, it didn't so I had to move to the next step and apply a serum. It is paraben and allergen free and it is suitable for all skin types. Have you tried these masks? What have you been using lately? Give me some ideas. *I received this product for review purposes but all opinions are my own and 100% honest.